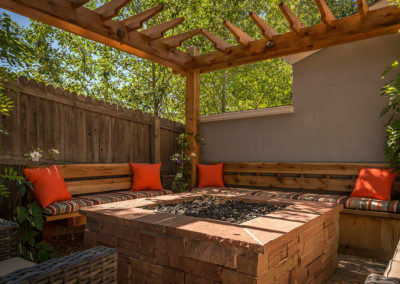 You want to be able to use your outdoor living space throughout the year, and the best way to do that is to add fire features. 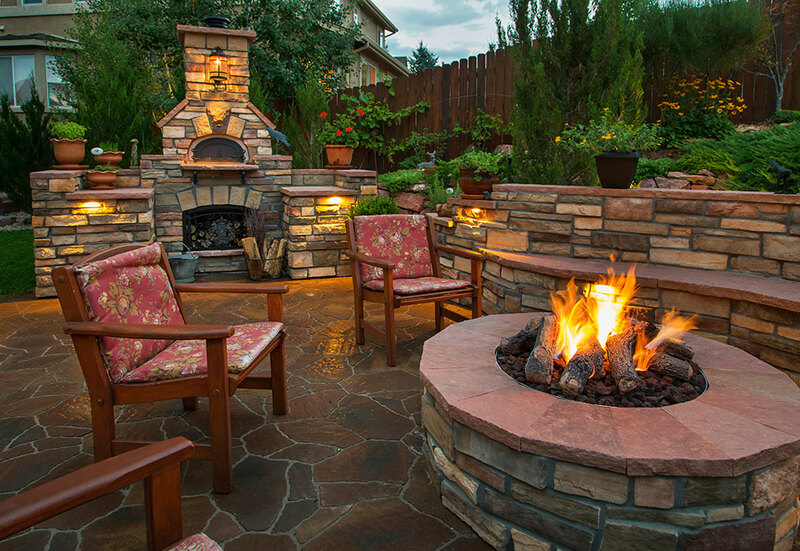 As humans, we have always been attracted to fire—for warmth, telling stories, cooking food and safety. 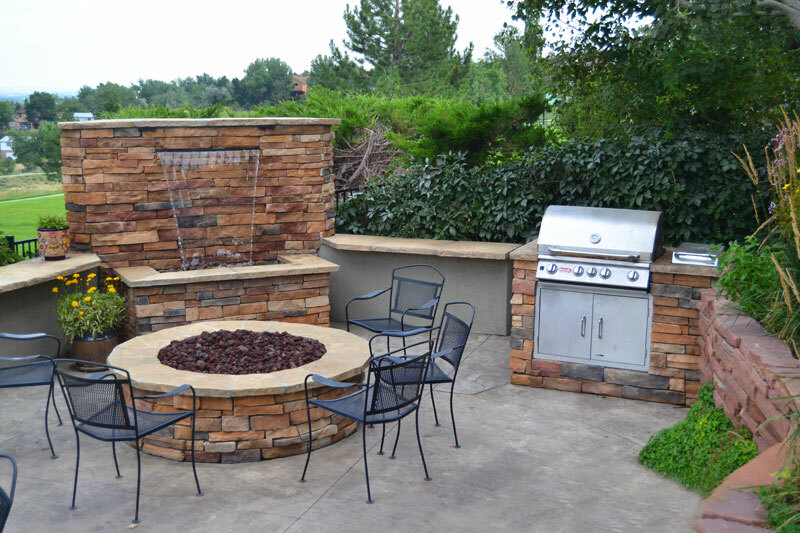 You can bring that atmosphere to your backyard when you add a fireplace and a fire pit. 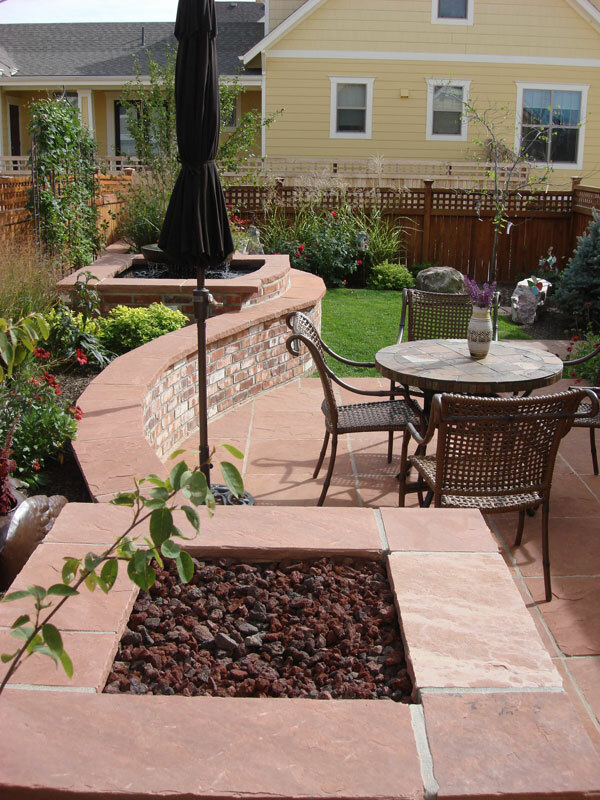 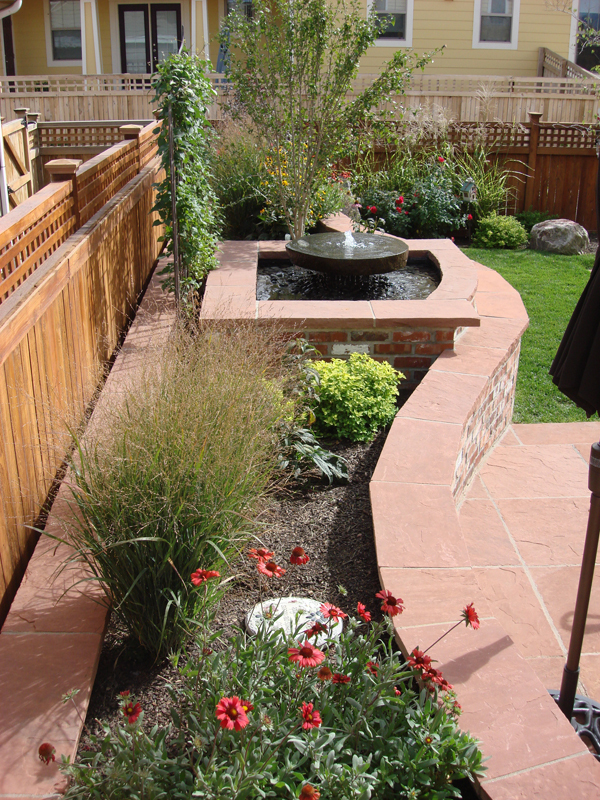 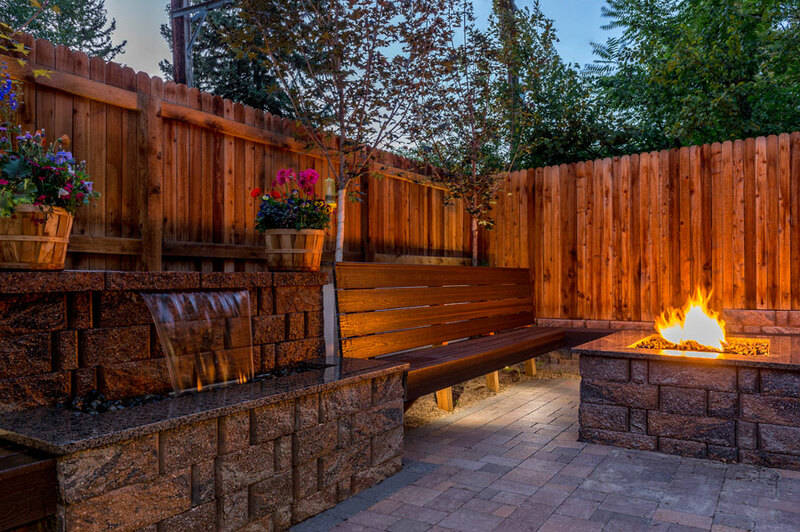 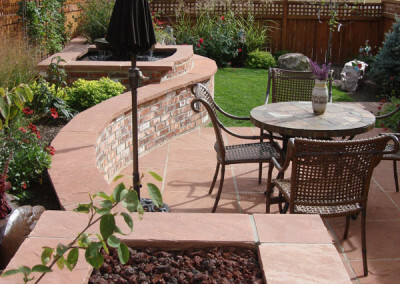 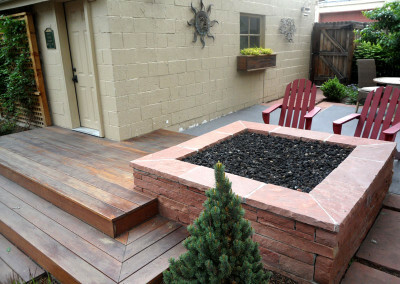 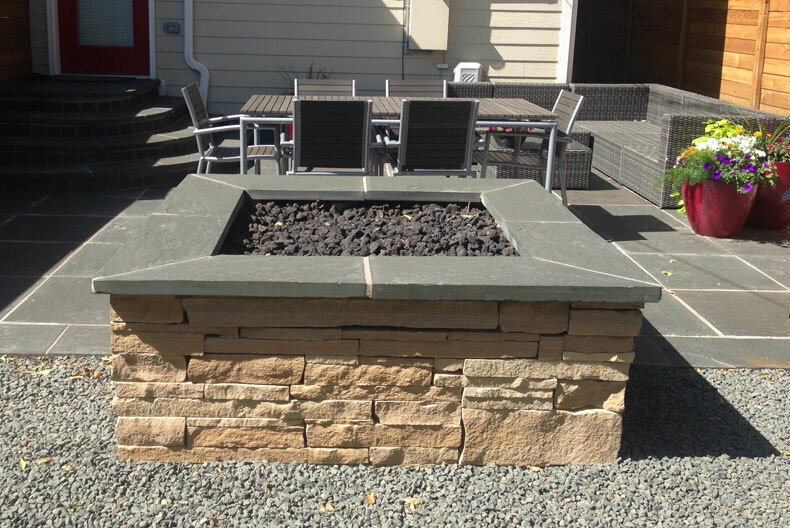 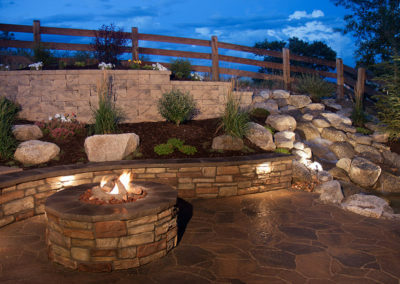 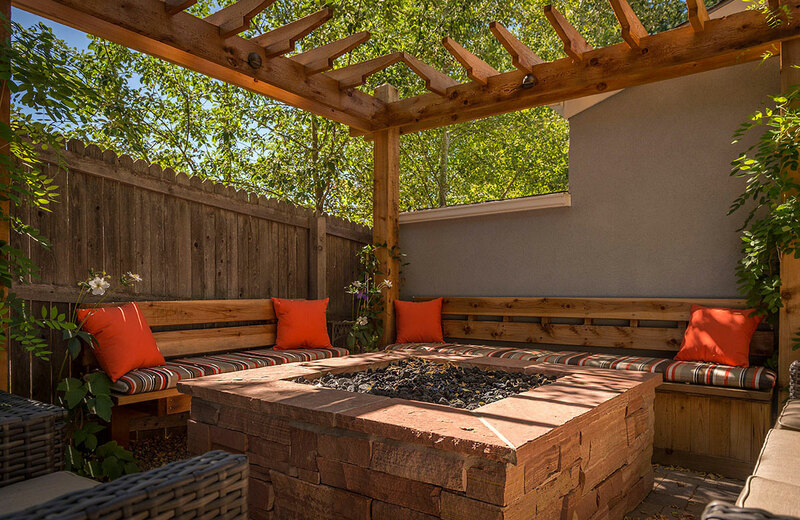 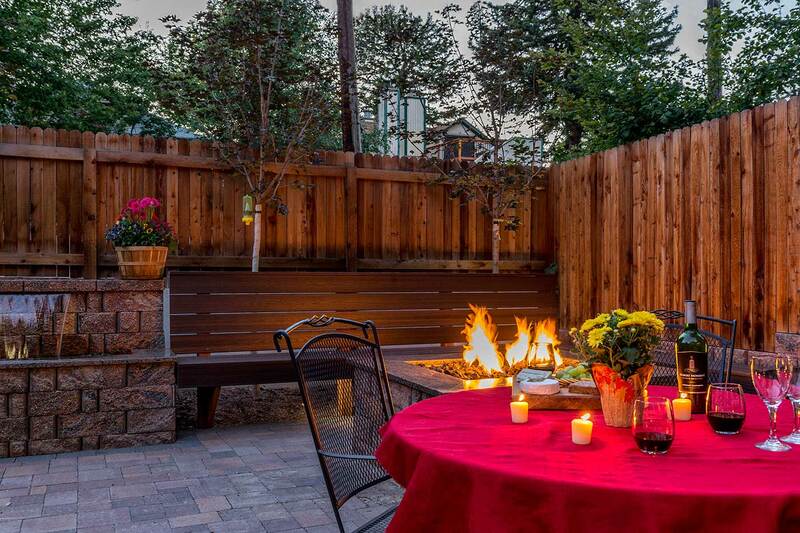 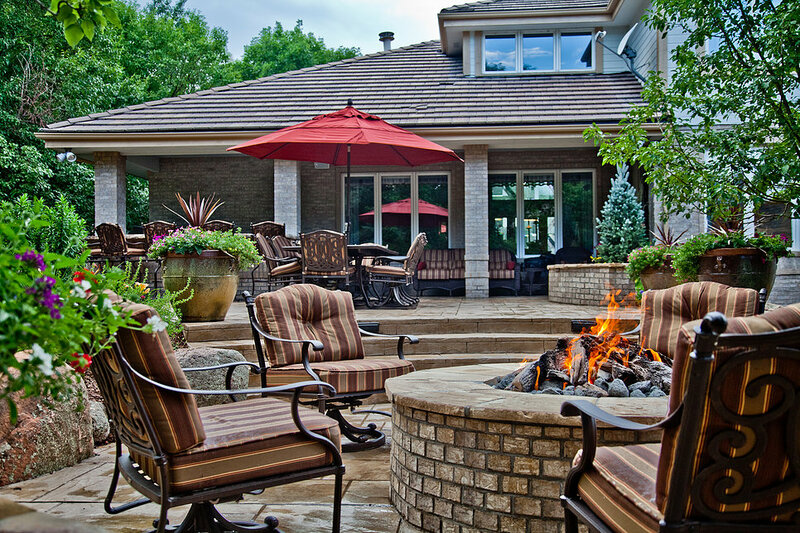 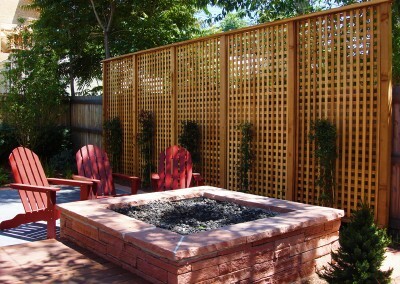 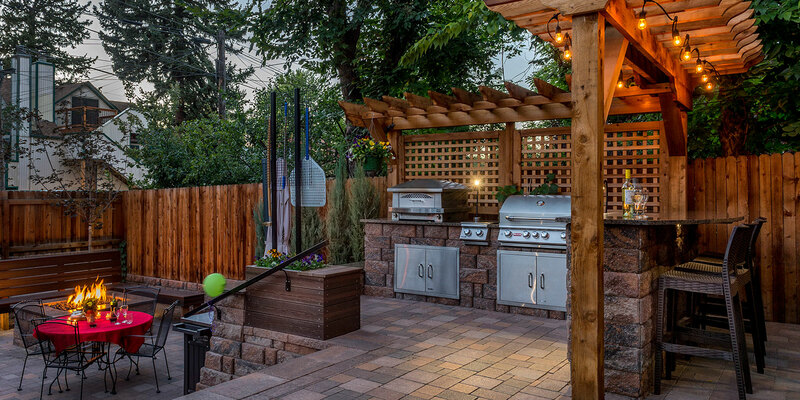 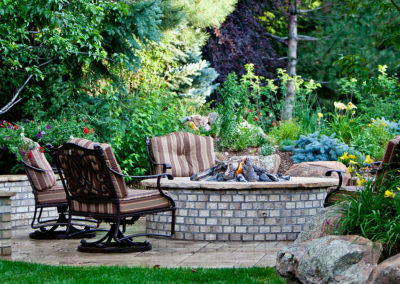 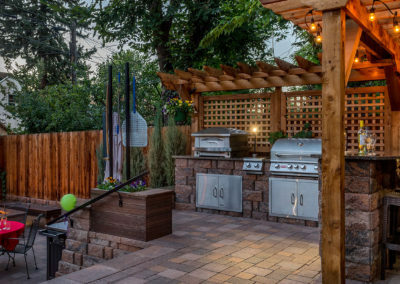 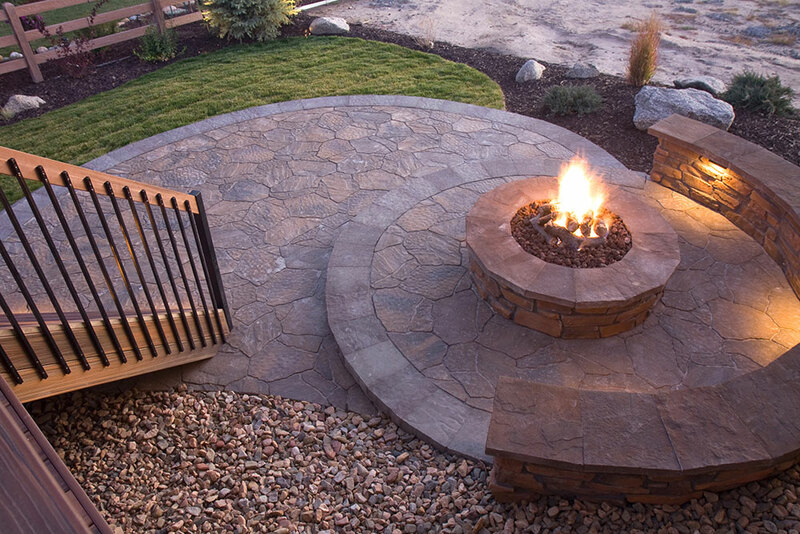 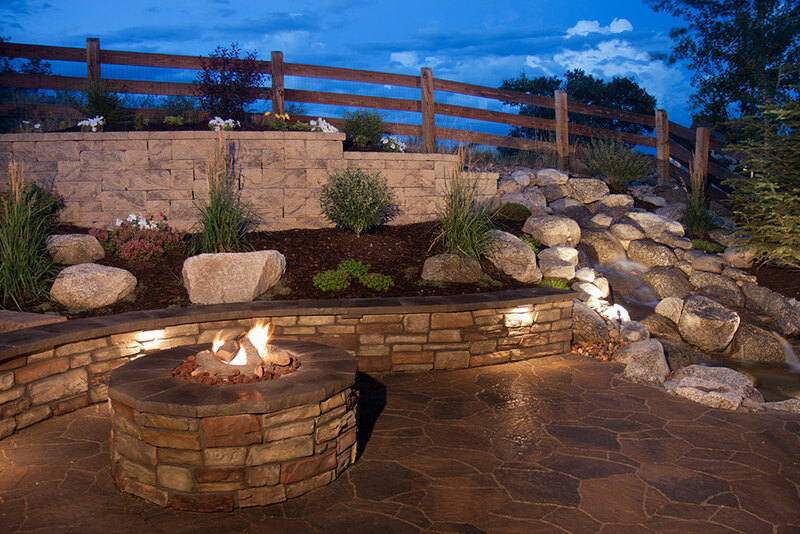 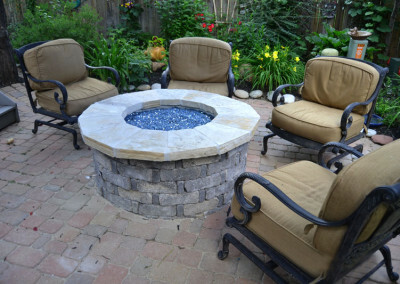 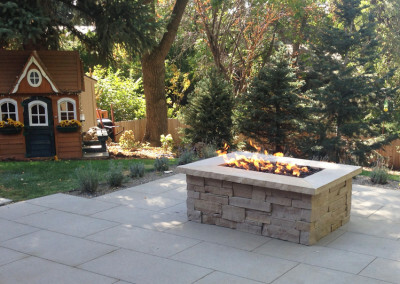 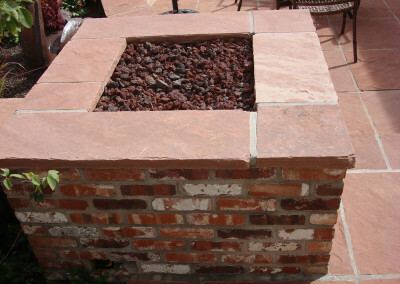 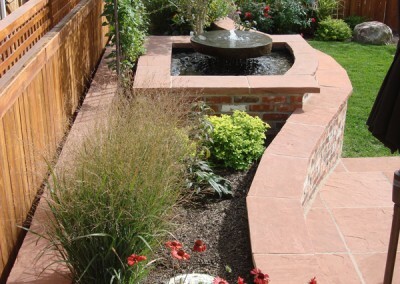 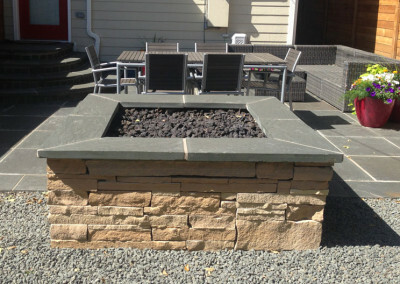 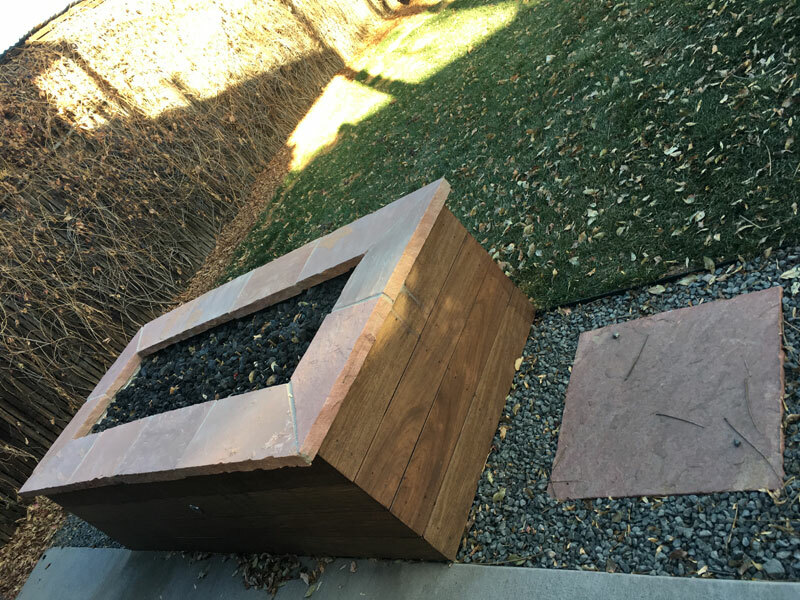 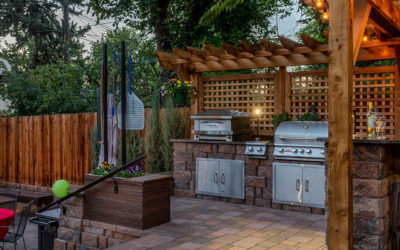 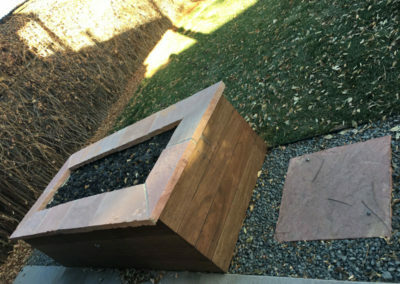 At Denver Landscapes, we can create a fire pit or fireplace that brings life to your backyard during any time of year. 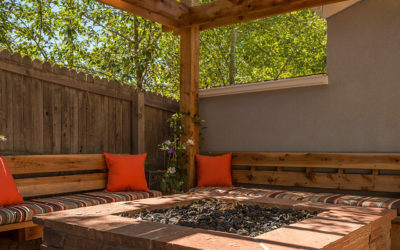 It’s a focal point for your living area where you add a weather-resistant sofa and chairs with colored cushions, pillows and throws to add to the comfort of sitting around a roaring fire. 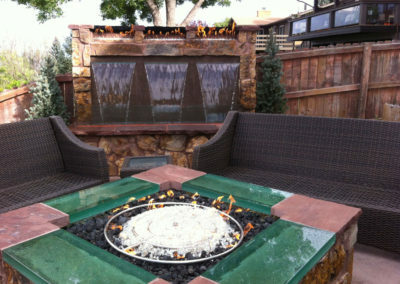 A fireplace not only provides a relaxing space for wine and conversation, but its design adds interest and beauty to your patio. 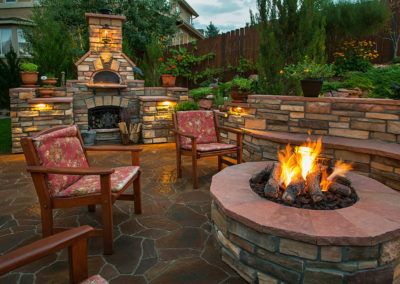 Your fireplace can be placed near your outdoor kitchen and dining areas—creating a living room space. 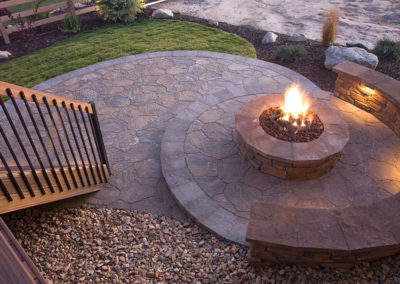 You can add a fire pit to another outdoor space for a campfire feel. 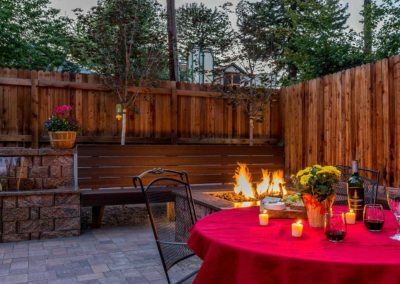 You and your guests can swap stories, roast marshmallows and whatever else that spells fun on chilly nights. 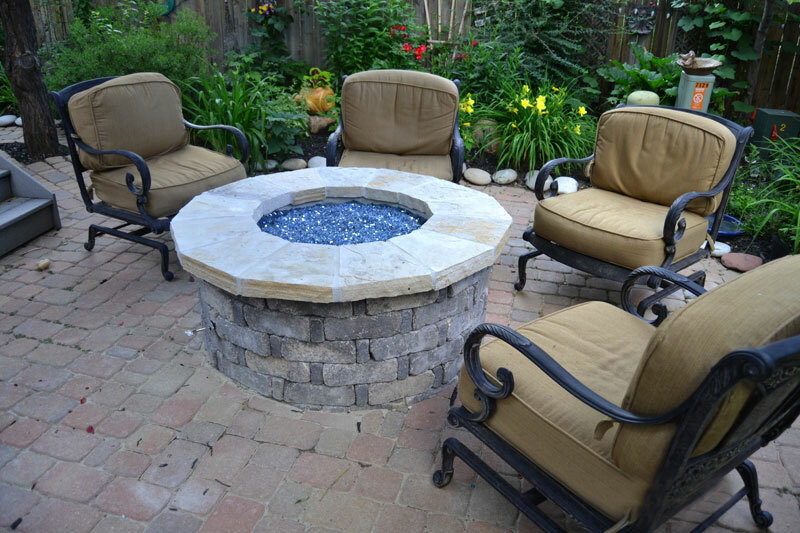 Again, your fire pit will be the focal point where you can add a circular seat wall complete with colored pillows and throws, or you could decide to add colorful Adirondack chairs for a chic outdoor feel. 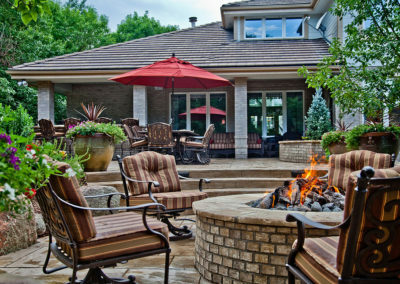 Bring in that family atmosphere with a new fireplace and fire pit any time of the year. 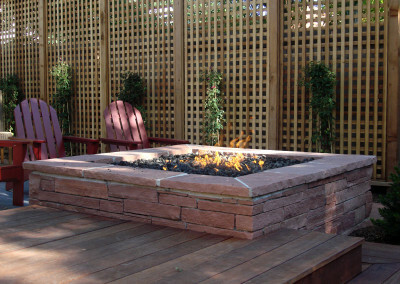 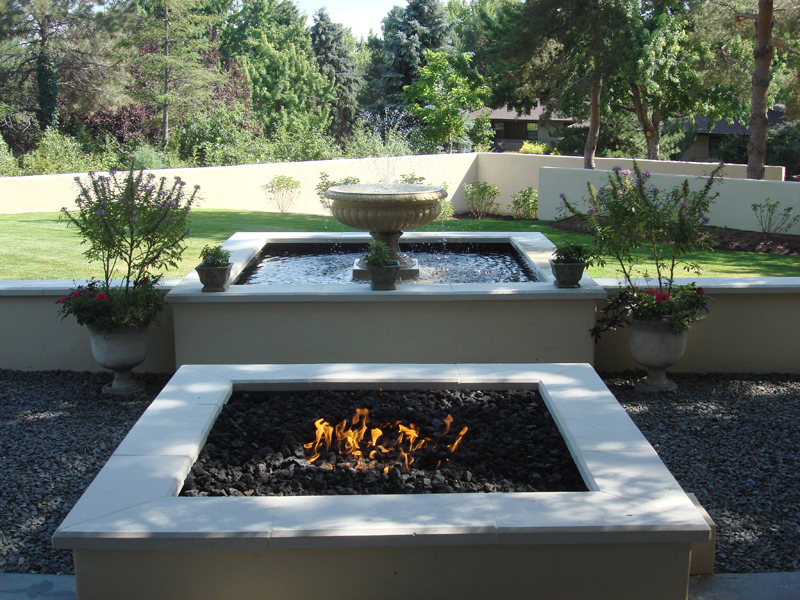 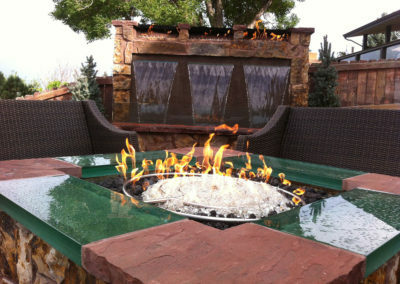 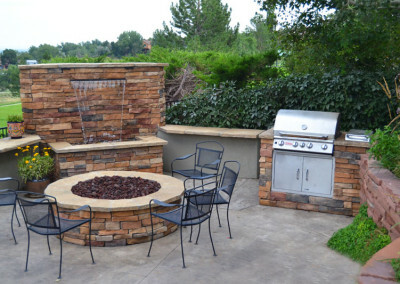 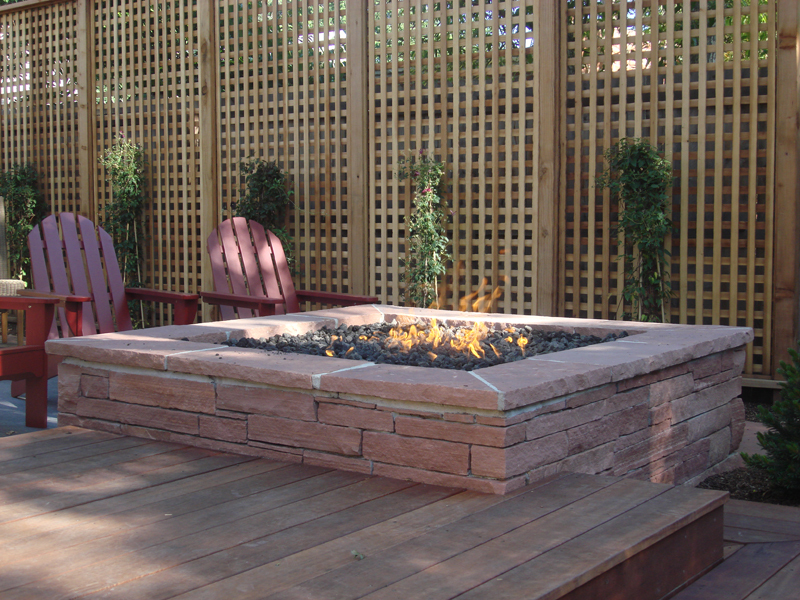 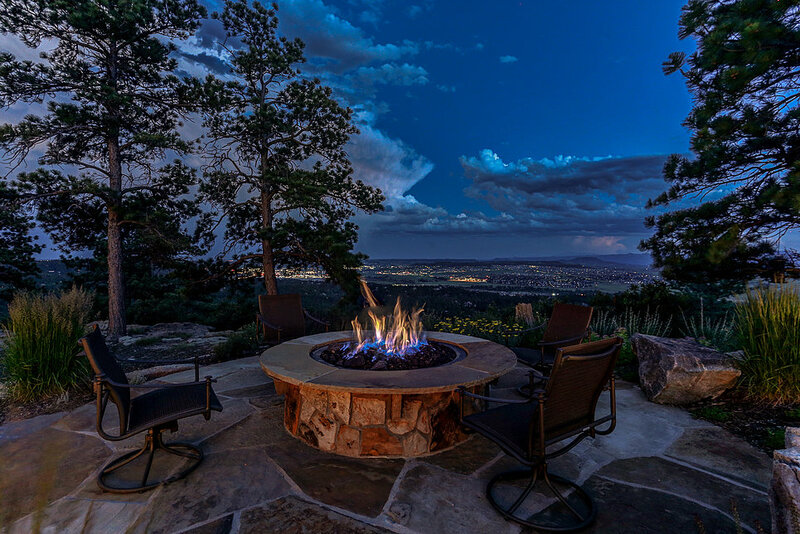 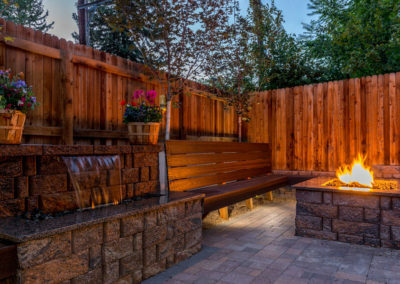 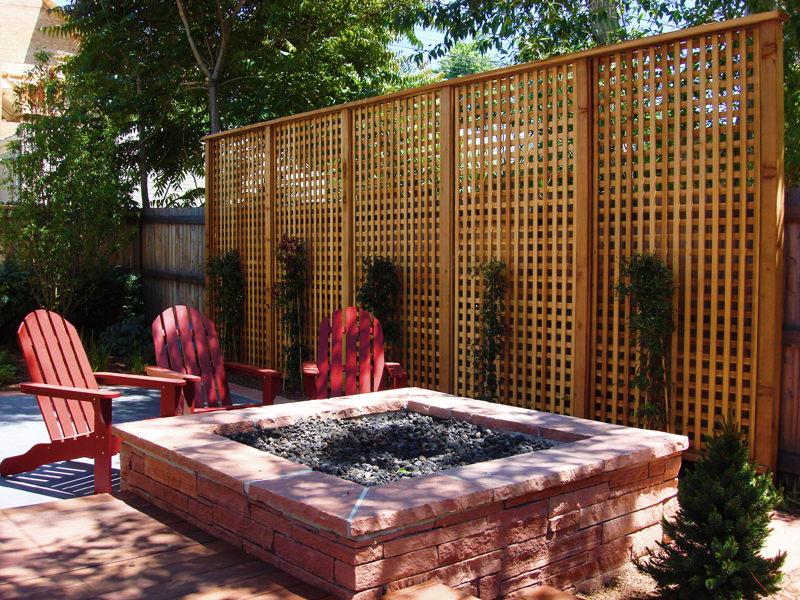 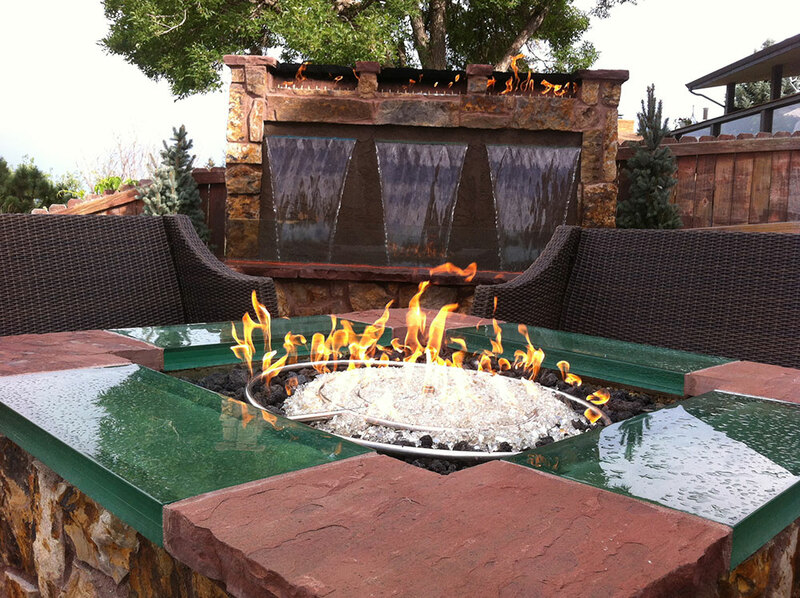 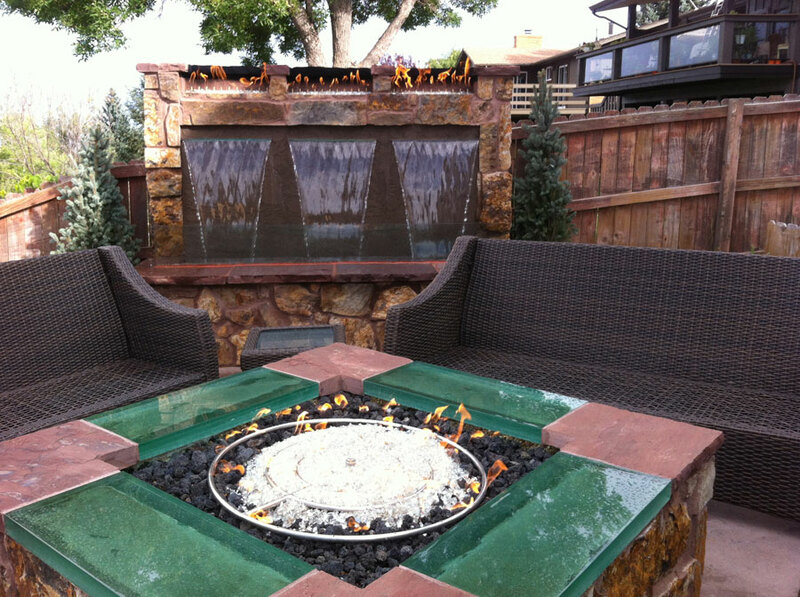 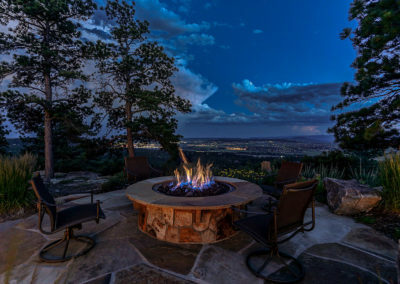 To get started on your fire feature design, call us at (720) 855-3964 or fill out our contact form. 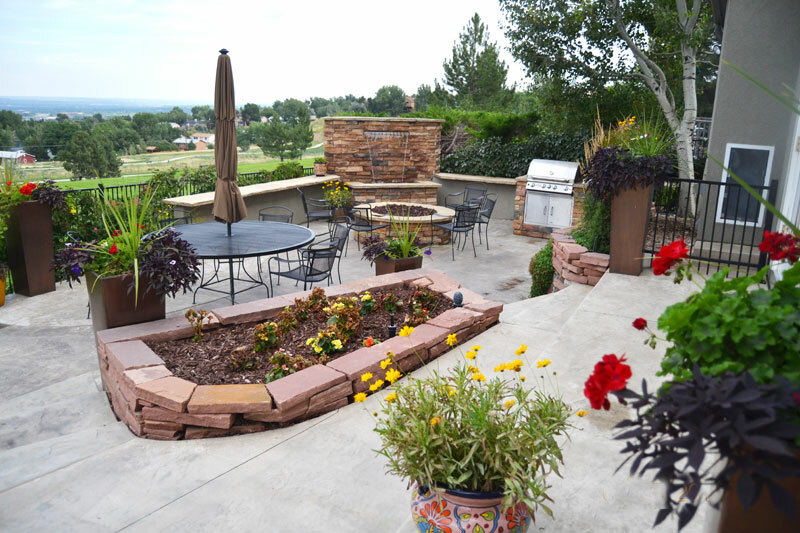 Denver Landscapes serves the following Denver Metro suburbs: Castle Rock, Centennial, Cherry Hills, Conifer, Denver, Englewood, Evergreen, Golden, Greenwood Village, Highlands Ranch, Lakewood, Littleton, Lone Tree, Morrison, Sheridan, and Wheat Ridge. 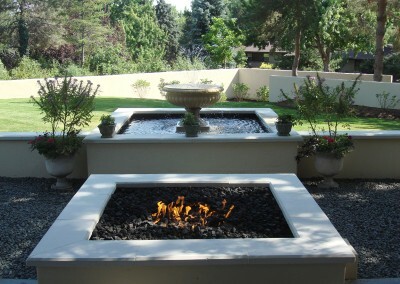 Take a look at the outdoor fireplaces and fire pits that we’ve done in the past for our clients.